Do you need to be able to depend on your vehicles to run your business? We can handle any size request. From oil changes to brakes or tire rotation, our teams can handle your fleet needs. We can even take care of complex engine and transmission issues. We’ll have your cars and trucks back on the road in no time! Our schedule respects your schedule. We understand that you have time sensitive needs for fleet repair. Our convenient appointments respect your work requirements. To that end, we will offer you plenty of options when scheduling appointments for your vehicles. Just let us know what will work for your business. 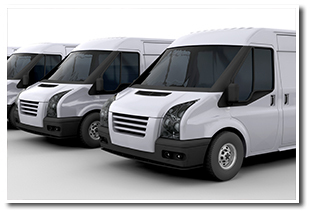 We can handle fleets of all sizes. From a florist that has one truck they depend on to large corporations that need their dozens of cars and trucks operational, we can accommodate your needs. Let the professionals at the Medina Rad Air Complete Car Care & Tire Center can take care of your needs no matter the size of your fleet. Would you like to learn more? Call us today for more information on the fleet maintenance services that are available at our Medina location. We can give you information on fleet pricing and recommended service schedules that will keep your cars on the road.